Wonpil Im was born in Seoul, Korea and mostly grew up in Seoul. In 1994, he received his B.Sc. in Chemistry, Hanyang University, Seoul. During these years, influenced by Professor Youngdo Won, he got interested in theoretical chemistry. He pursued his graduate studies under the direction of Professor Won and received his M.Sc. degree in 1996 with a theoretical study of thermodynamic, structural, and dynamic properties of liquid alkanes and liquid acetonitrile using molecular dynamics (MD) simulations. He also had an opportunity to work on the biomolecular simulation program CHARMM and learn its inner workings. Moving to Montreal, Canada, in February 1997, he started his Ph.D. studies in Chemistry at University of Montreal. Under the guidance of Professor Benoît Roux, he worked on Poisson-Boltzmann (PB) continuum electrostatics and its applications to methodological developments such as PB solvation forces, Grand Canonical Monte Carlo - Brownian Dynamics (GCMC/BD) algorithm, Generalized Solvation Boundary Potentials (GSBP), and a general treatment of electrostatic reaction fields for BD simulations of ion channels. He also had a chance to perform a MD simulation of OmpF porin from Escherichia coli in an explicit membrane with 1 M KCl aqueous salt solution. Since June 2000, following Professor Roux, he continued his Ph.D. studies in Biochemistry at Weill Medical College of Cornell University in New York, where he focused on a theoretical study of ion permeation and selectivity of OmpF porin and its mutants using MD, GCMC/BD, and Poisson-Nernst-Planck (PNP) electrodiffusion theory. He received his Ph.D. in 2002 with the thesis entitled "The Role of Electrostatics in Ion Permeation and Selectivity of Biological Membrane Channels". In June 2002, he joined the group of Professor Charles L. Brooks, III at the Scripps Research Institute, La Jolla. He soon got interested in the development and application of generalized Born (GB) electrostatic theory to the dynamics and folding of biomolecules. In particular, he made considerable efforts to extending the GB method to take the influence of biological membranes into account. He worked on applications of the membrane GB model to insertion, folding, and assembly of various membrane proteins (or transmembrane domains) as well as modeling of rhodopsin, a G-protein coupled receptor (GPCR). He was the recipient of a CTBP (Center for Theoretical Biological Physics) fellowship. During his postdoctoral period, he had also made considerable efforts to Korean scientist community in San Diego. For instance, he successfully organized 2004 Lucera Open Tennis Tournament, 2004 Scientist Soccer Team (sports.mov), and 2004 KSEA-SD Science Park Symposium (2004Symposium.htm), and 2005 Korean Scientist Happy New Year's Party. In August 2005, he joined the Faculty in Department of Molecular Biosciences and Center for Bioinformatics (now Center for Computational Biology) at the University of Kansas. He was excited about this new adventure. (... 6 years later ...) In August 2011, he was promoted to associate professor with tenure. In the past 6 years, he published a total of 33 papers (25 papers as the corresponding author), and he was awarded the Alfred P. Sloan Research Fellowship (2007), the ACS HP Outstanding Junior Faculty Award (2011), and KU J. Michael Young Undergrad Advisor Award (2011). He became an associate editor of BMC Biophysics in 2011. Despite funding difficulties for the first 4 years, it was the time for him to solidify his research programs and make fundamental/methodological contributions to membrane (protein) simulations. He was looking forward to continuous adventures with new challenges in coming years. (... 4 years later ...) In August 2015, he was promoted to professor with tenure. In the past 4 years, he published a total of 42 papers (35 papers as the corresponding author and his 100th paper in June 2015), and he was awarded the Meredith Docking Scholar (2013) and the University Scholarly Achievement Award (2015). He became a member of the Membrane Protein Structure and Dynamics Consortium (2012) and an editorial board member of Scientific Reports (2014). In August 2016, he joined the Faculty in Department of Biological Sciences and Bioengineering Program at Lehigh University, and he has been named the Presidential Endowed Chair in Health - Science and Engineering. He is excited about this adventure with new challenges and opportunities. He has been appointed to KIAS scholar (Korea Institute for Advanced Study; 2016) and received Friedrich Wilhelm Bessel Research Award from Humboldt foundation (2017). In November 2016, he successfully organized Workshop to Take Aim at Bacteria. 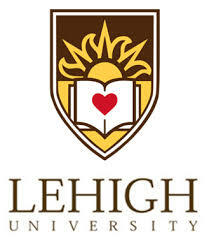 In addition, he has made efforts to form a Biological Membrane Research Group at Lehigh.